Seldom is convenience a reason for growing rather than buying. Garlic is one of those happy exceptions. Imagine that you’re going to prepare spaghetti sauce. You go out beside your patio, reach down, and pull up a garlic bulb. It’s going to be a good sauce! Garlic is so convenient when you grow it. You never have to run to the store. It’s not sitting somewhere, molding or shedding skin. It’s in the ground, fresh. Just water it once a week if it’s been dry. It tends to multiply on its own, so you should have to re-plant. 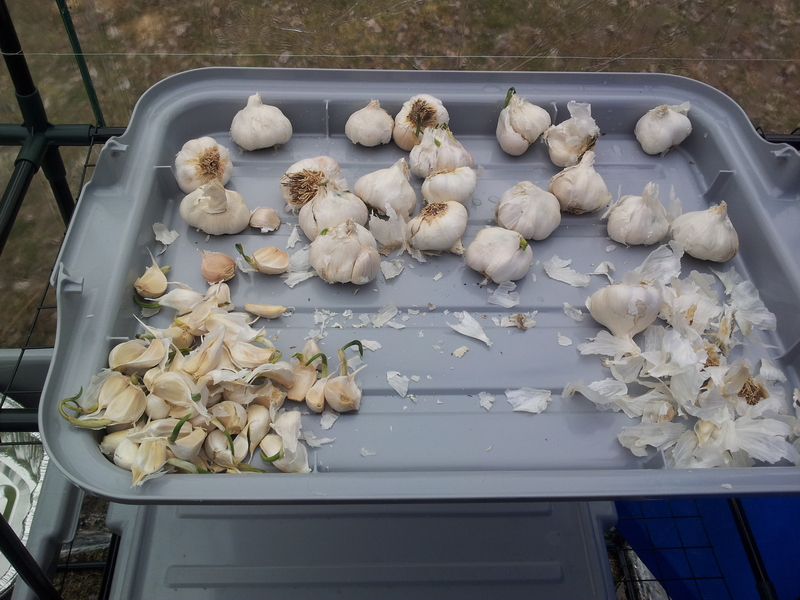 There are two times to plant garlic. The fall is best, but you can also plant in the spring. I was at a farmers market the other day. I noticed that one of the vendors was selling bulbs of garlic in little red mesh packages. 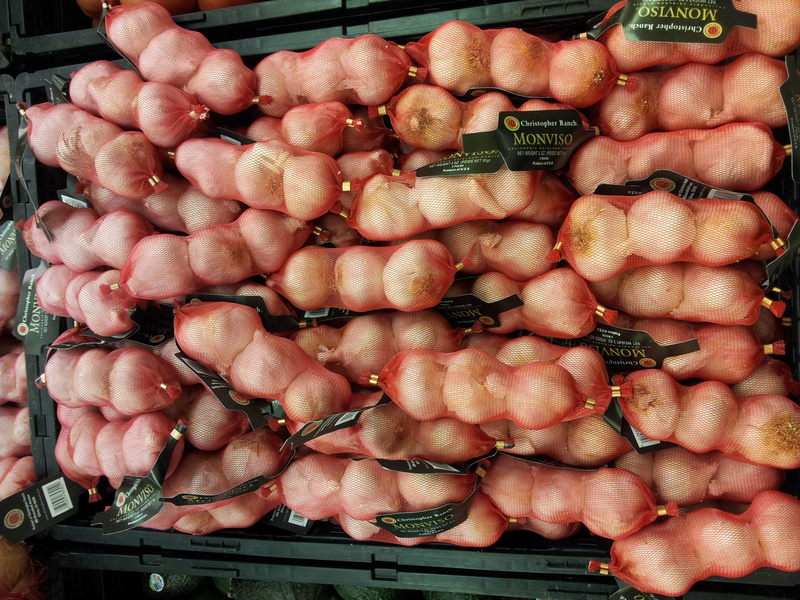 The pic above shows fresher garlic than what I was looking at. The stuff that I saw was growing. I could see lots of green shoots coming out of the bulbs. I asked how much. The vendor was glad to see them go at $1. I bought 5 tubes. I am going to want my garlic to grow close to my home. Since I haven’t built my home yet, I’m going to start them in a container. I can transplant them later. Here’s a pic of the bulbs I’m using. See the shoots? You can stick the cloves into the ground at this point. You’ll have garlic in the spring if you plant in the fall. I’m planning on growing my garlic in a half-keg. You’ve probably see those whiskey kegs that are sawn in half. That’s what I’ll use. For now, I want to make sure that I have good starts, so I’m going to start these cloves in a cheap container. In this case, I’ll use a roasting pan from the dollar store. 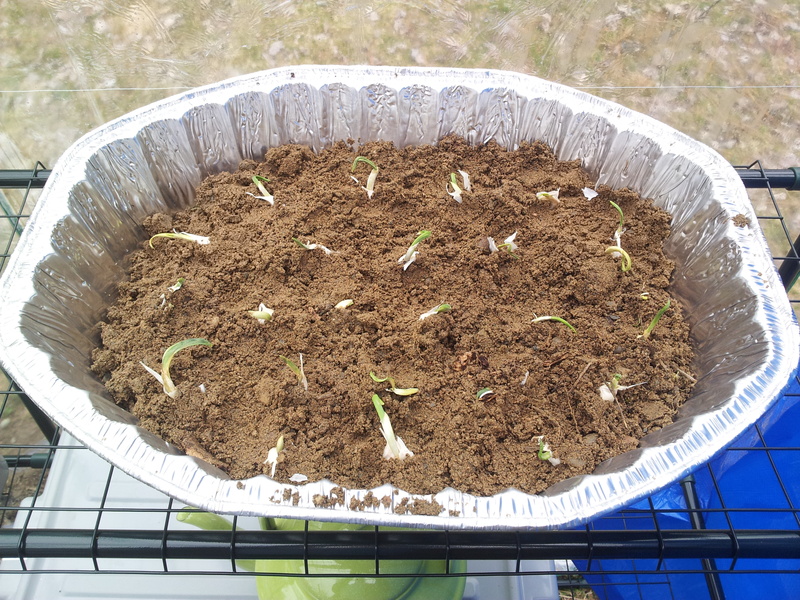 The cloves are in soil now. I didn’t use potting soil, just soil that’s found around the place I’m renting. 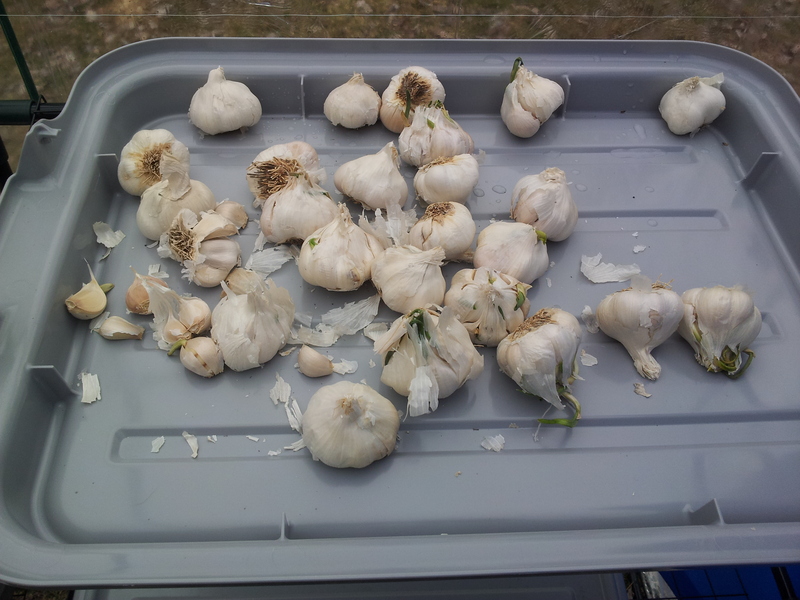 I’ll update this post with pics as the garlic progresses (or not). This entry was posted in Plants, Shrubs and Trees and tagged garlic by admin. Bookmark the permalink.